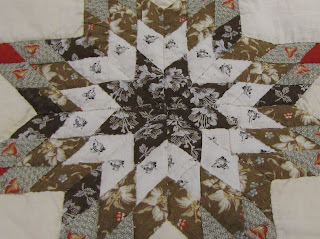 One of my very favorite quilts - kaleidoscope star. The pattern is Ships Wheel. 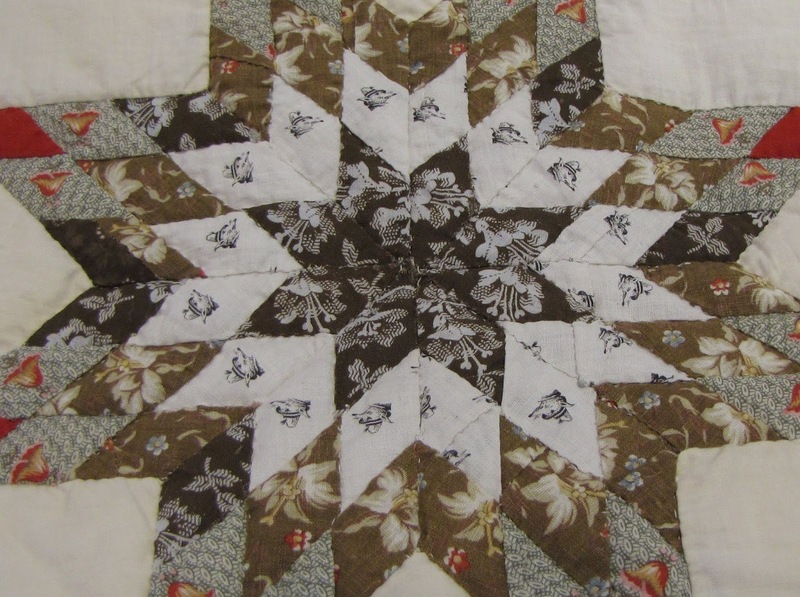 The quilt is circa 1890**, these steel engraving novelty prints are mostly from the 1880s. **The top is c. 1890 but was minimally quilted a few years ago with a polyester batting. I've since unquilted it and removed the poofy poly but left the backing to protect the seams. The fussy cutting, selective cutting is very impressive as is the careful piecing and placement. Look at the little fox, ferret, badger? in a hat. Even more impressive is the fact that the maker was using small pieces and many had to be pieced before they could be cut into diamonds. This quilt is a tour de force of fussy cutting! And has more novelty or conversational prints than I've seen on any other quilt. Please be sure to click on the individual photos to see the details and all the amazing novelty or conversation prints. Antique Sampler Quilt Dated 1908 Quilt Along?